This passage from Mattthew, these words from Jesus always convict me. 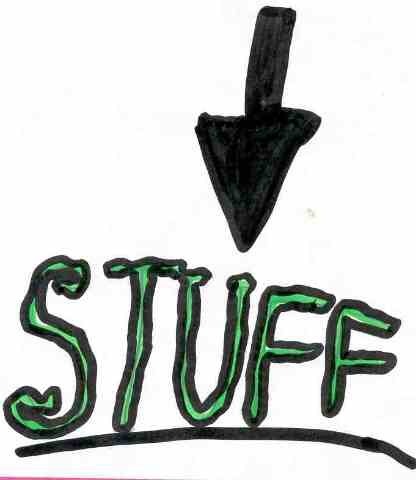 How beholden am I to my stuff? How much does money and finance cause me anxiety each day? The word of Grace from the Lord comes in the invitation to follow. It’s an opportunity of a lifetime for a lifetime. And yet, we hesitate. That’s why this passage is so convicting, and yet the offer still stands, the invite to a different way of being in the world still stands. In Matthew 6, Jesus own words recognize our worldly needs, our connection to them, and promises God will provide. And yet…we still hold on to things so tightly. As I reminded recently, by the death of friend and a great man, you can’t take it with you. The only thing that can’t be taken from you is God’s love. Believing it is one thing, the challenge is living it. Prayer: Lord, you provide for me. You always have. Help me to let go of material things and money. Invite me again to follow you. Continue to challenge my worldly ways. Amen. The blahs. The duldrums. The blues. Depression. Call it what you will, we all go through it at varying degrees. When we are down and out, it’s good to know that someone cares (sympathy). It’s even more comforting to know that someone understands (empathy). Even if our troubles aren’t fixed, it’s good to know that we are not alone in our mess, whether our mess happened to us, or we created it with our own bad choices. Somehow, in the verses above, part of the Exodus story, I’ve missed verse 25. It comes right before the famous passage about Moses and the burning bush. Read it again. The beauty in that statement overwhelms me today, and maybe you just need to hear the words again like I did. Whatever mountains you are facing, God understands. Whatever your mess, or your suffering, whether real or imagined, whether it was heaped upon you or even if it’s self-inflicted, God love you – always has, always will – and because of that love, God understands. God doesn’t just have symapthy for us, through love, The Lord empathizes with us. And that is Grace for the grind. God, Why Have You Left Me All Alone? So the inspiring word today, is in the face of suffering, when it seems God is absent, as my friend Trudy says, stand up, and praise God’s name. Hold on to your faith. Deliverance will come in some shape, form, or fashion. Today, my prayer goes out to all who feel far from God. To all who are hurting, or suffering, and don’t feel the Lord’s presence in their lives. May you know through these words, even if you can’t sense it, God is near. The Lord still loves and has never forgotten about you. Prayer: Lord, be with all the lonely, those who feel like they are in a desert, in a wilderness, and can’t sense or feel your presence. Reveal Yourself to them, come close to them, love them, and deliver them from whatever troubles may ail them. Amen. p.s. I’ve found that most of the times in my life when God seemed distant, it’s not God who moved away, it was me. By the way, be warened, I’ve also found this is the exact time the Accuser likes to come along twist our insecurities. The key in all of this is the humility that David shows, a shining example for us, with words of wisdom as we move into the season of Lent. It’s an exercise in heart and mind and soul. It requires a willingness to search deep into the heart of who we are and admit we are often wrong, and often don’t know it. The hope in all of this is to become one who, by the words that we speak and the motives of our heart, is pleasing to the Lord, the one who shows us mercy when we are wrong. Prayer: Lord, Forgive me when I am wrong. Show me where I am wrong and don’t know it. My goal is to become pure in heart and pleasing to you. Grant me mercy and the humility I need to become the person you have made and call me to be. Amen. Take a few minutes and click the link, close your eyes, and pray this song, offering your heart to God, like David did. Some days, you just need to know that someone is with you in this fight, on this journey we call life. We are not alone. God is with us and we have each other. Some days, we just need to be reminded of that. My friend Mike did that for me today, and I’m doing it for you. I’m not sure what your need is today, but in the prayer from Paul for the folks in Colossae, I think you’ll find I have prayed for what you need. This prayer is for you today. It’s a prayer for guidance and direction, that you might know God’s will and wisdom for your life, and it’s prayer that you live in such a way that it pleases the Lord. It’s a prayer that your life is productive in a way that makes the lives of those around you better, and it’s a prayer for strength and patience in difficult circumstance. Finally, it’s prayer that you live with joy of knowing that you are loved by God, and therefore always have something to be thankful for. Prayer: See above verse again, and pray it; pray it for me and others. Thanks! Even the preachers need to know that you are praying for us. God has used some of the most difficult times in my life to shape who I am, and it has made me a better husband, dad, friend, and person. I have found that in the hardest of times and darkest of places, God has come the closest. Even if it meant we needed to wrestle. God could have destroyed Jacob, instead, in wrestling with Jacob, God shows mercy and blessing, and Jacob is changed forever. How about you? How has God used hard times to change you? To increase your faith? Prayer: Lord, come close to those who are going through hard times. Let them know you are with them, bless them, and shape them, deepen their faith and trust in you. Help me to walk alongside all those who are wrestling with God at a crossroad in life. Amen.